Cool, Interesting – WAIT – is that SCRATCH!! 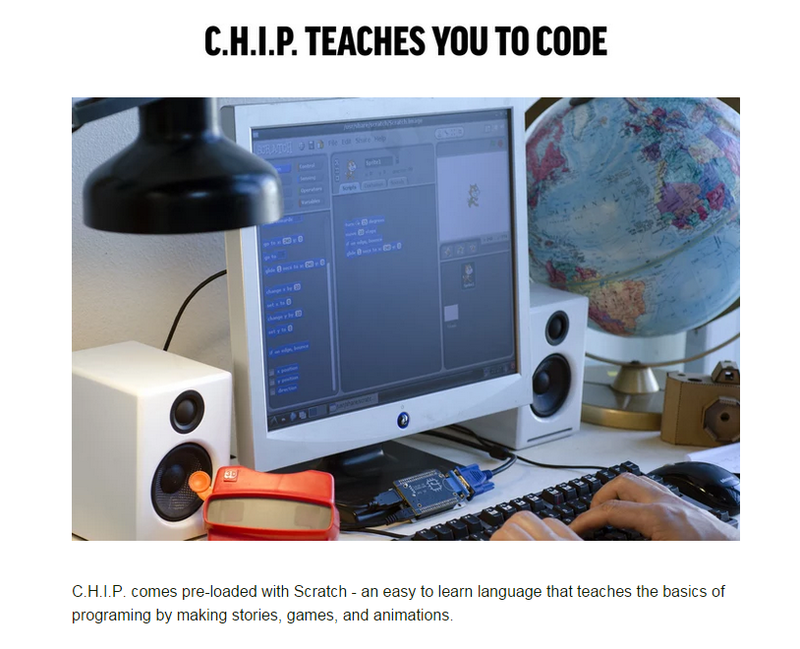 The wildly popular C.H.I.P. comes pre-loaded with Scratch! So! Let it be known! 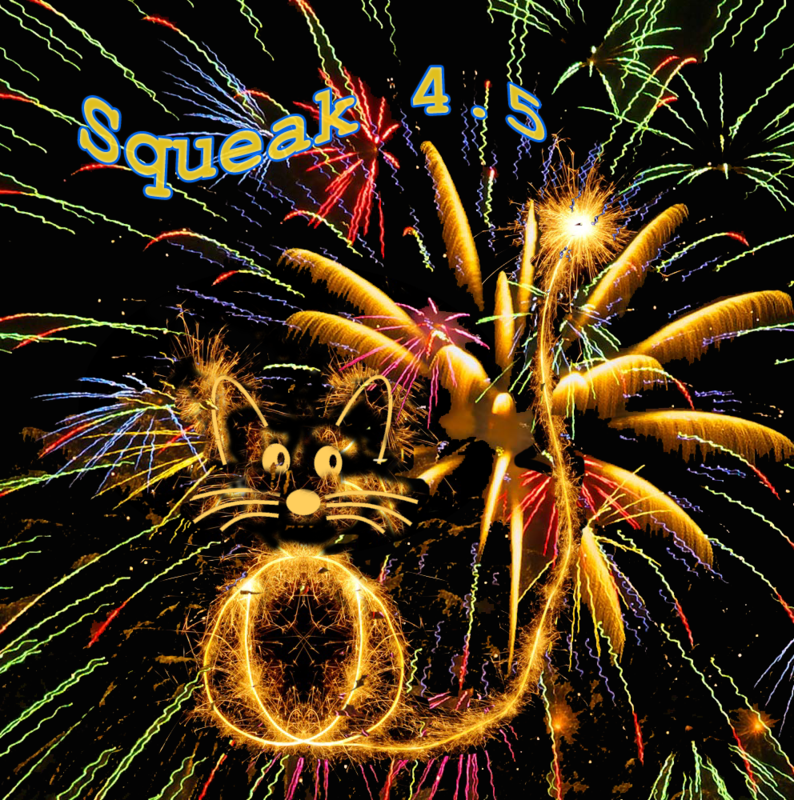 Squeak 4.5 is released! Excellent Job Everyone!! Can you tell we are excited! 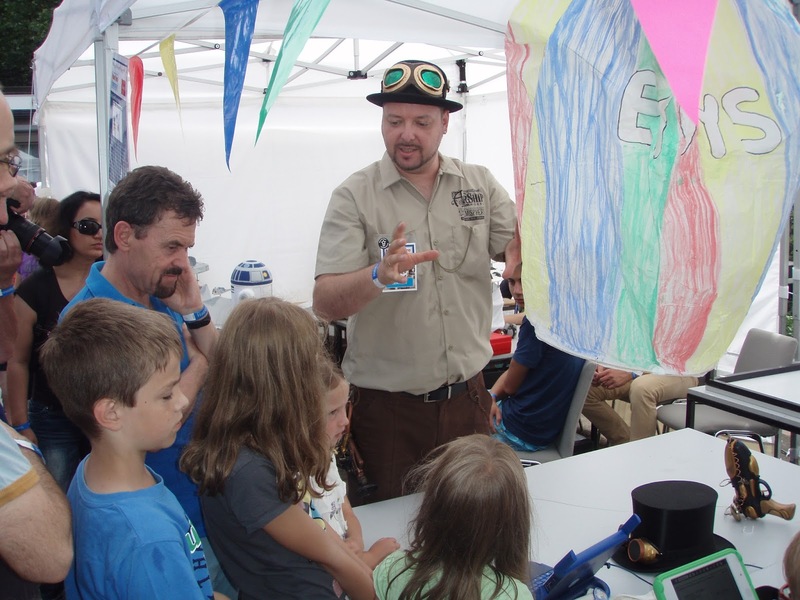 Etoys, children, a funny hat and a handmade Smalltalk balloon. What more could you ask for! Looks like a great day for everyone. Doug Engelbart, American inventor and computing legend, Dies at 88. Sad news. Most of the Smalltalk community knows all about Doug through stories shared by Alan. Some of you have been lucky enough to have met him. Much of what we know about computers was invented by some really terrific minds. Today we lost one of the best. It is amazing how far technology has progressed in such a short time. We are lucky to live in a time that still has so many of the great inventors still alive. It’s an amazing time to be standing the the shoulders of giants. Alan Kay reminds us that all of the present is not made up of all of the past. Only part of what was done back then survived and is in use today. Some of our history is better than our present. We should all take a moment and remember that past. I couldn’t help but notice that Doug has three controls. The Mouse the keyboard and what? A function menu? A view selector? Just what is that left hand doing? I know I’ve tried to explain ctrl-c to people and even today many people have no idea that keyboard shortcuts exist. Just a thought.